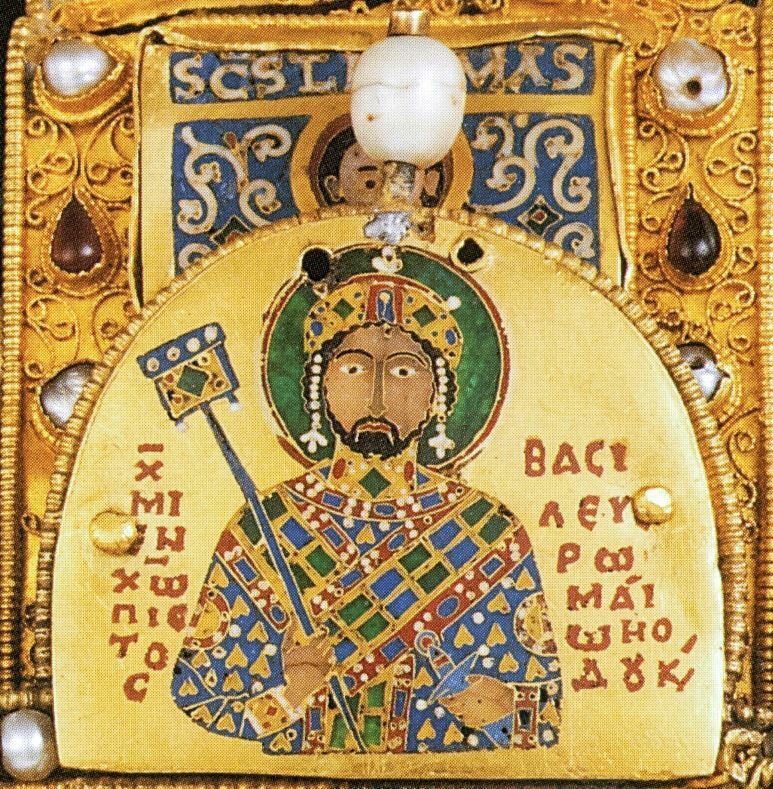 Michael VII was Byzantine emperor from 1071 to 1078. He was associated with his father on the throne late in 1059, together with or shortly before his newly born brother Konstantios Doukas. When Constantine X died in 1067, Michael VII was 17 years old and should have been able to rule by himself. He exhibited little interest in politics, however, and his mother Eudokia and uncle John Doukas governed the empire as effective regents. A series of misfortunes caused widespread dissatisfaction, exacerbated by the devaluation of the currency, which gave the emperor his nickname Parapinakēs, "minus a quarter". In 1078 two generals, Nikephoros Bryennios and Nikephoros Botaneiates, simultaneously revolted. Botaneiates gained the support of the Seljuk Turks, and he reached Constantinople first. Michael VII resigned the throne with hardly a struggle on March 31, 1078 and retired into the Monastery of Stoudios.